Apple TV just got a bit more powerful. The device now serves up content from four new sources, including Bloomberg, ABC, Crackle and KORTV. According to MacRumors, which first spotted the update, the ABC channel will provide direct access to whatever your local ABC affiliate news station is, while Crackle will provide streaming movies. KORTV, for those unfamiliar, provides Korean television content, while Bloomberg provides business news. Apple TV started out as a relatively simple cord-cutter option, though it has become much more powerful in the last several years, despite its status as a "hobby" for Apple. 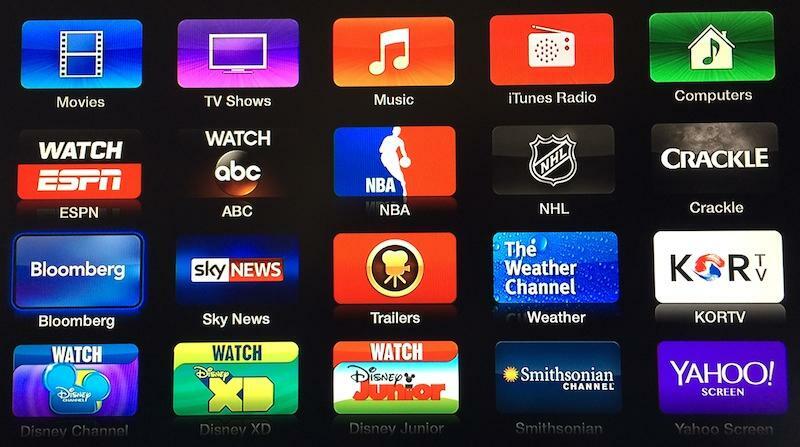 In September, Apple added Major League Soccer and Disney Junior channels, creating yet another reason for consumers to consider dropping their cable companies. The company is no doubt trying to beef up Apple TV in an effort to fight off new competitors such as Google's Chromecast, and keep the focus away from other companies like Roku. As MacRumors also points out, rumors have long suggested Apple is in talks with cable companies to create a sort of a-la-carte option for TV channels, possibly even for its rumored iTV, though so far it seems to be doing quite well creating that kind of TV-watching experience on its own.